The month of May, my turn to host the Kitchen of the Month. 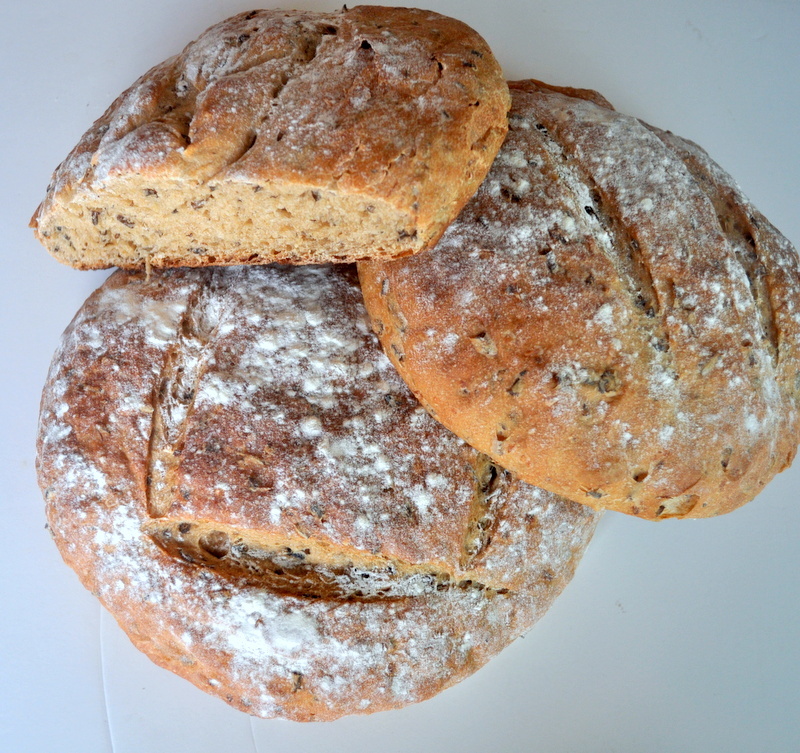 For this recipe I looked up Peter Reinhart’s revised recipe of Wild Rice and Onion bread as it appears in “Artisan Breads Every Day”. My first loaf wasn’t that much of a success but my oh my… that second and third… (adding fried onions in the second and caramelized onions in the third) sure was a hit! Following are the Buddies who took the challenge and run with it. Enjoy! Robin at A Shaggy Dough Story is a first time Buddy and a novice blogger dedicated to bake good bread and I am very proud to have her baking with us. Fabulous looking bread with a golden crust! Who needs more? Karen added Wild Rice and Onion to her Kitchen Stories. Turns out this bread was on her to-bake list for a long time, well… consider it done (and well done!) She used wild rice and flaked dried onions. This is Paola, to be found over at Le Mie Recette con Esenza, a lovely golden crust and using kamut as part of the flours! She used brown rice instead of wild rice and caramelized onions in her version. Claire (or rather Claartje ) sends us this beautiful bread from Scotland. Her experience wasn’t the best of yet but I think it certainly is a winner in looks. (and do click over to see that cute black lab! Look at that!! 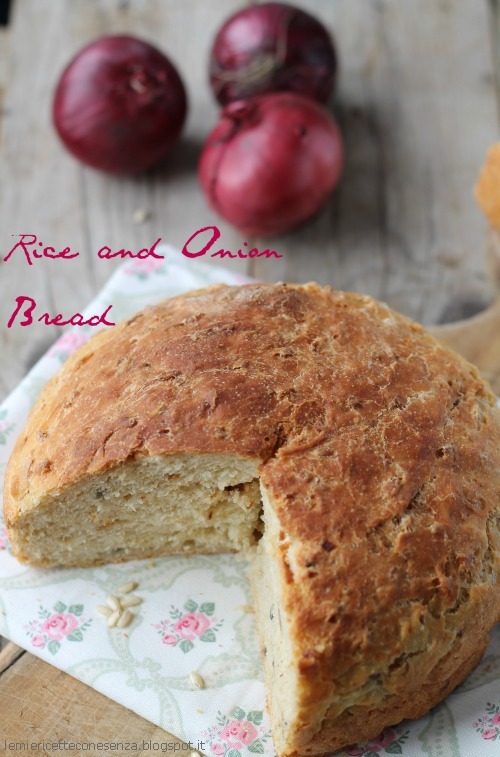 Sunita added dried cherries to her version of this bread! (See… told you it was such a versatile dough!) She tells her story at My Foodlab, go on over! 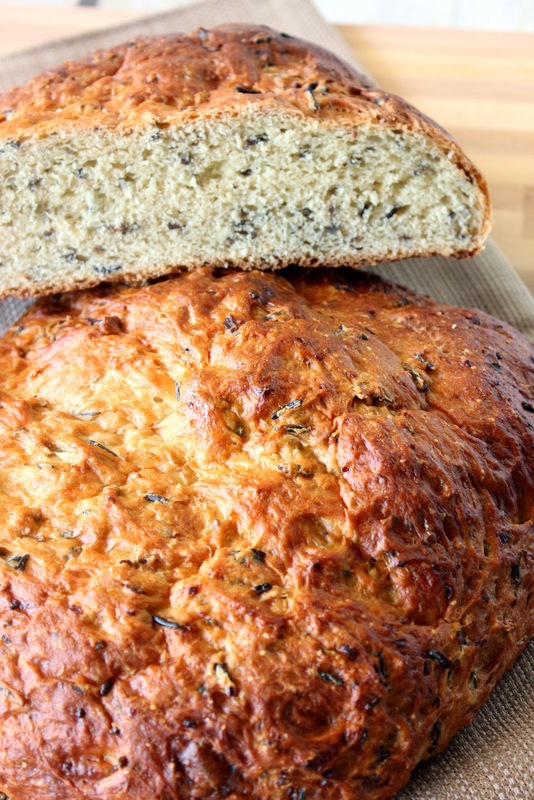 Renee’s tale of this particular bread is all about diversion and shortcuts and turned out a gorgeous loaf… which I love!Take that recipe and go make it your own, so that’s what she did in her Kudo’s Kitchen. Now look at this one and the one above… how similar are they? These two are baked by Sandie and her post is to be found @ Crumbs of Love! So… this is it for this month! I really enjoyed reading what you did with the recipe, love to see your diversions and omissions. And most of all looking at this diverse array of breads, small and large, in rolls and boules. 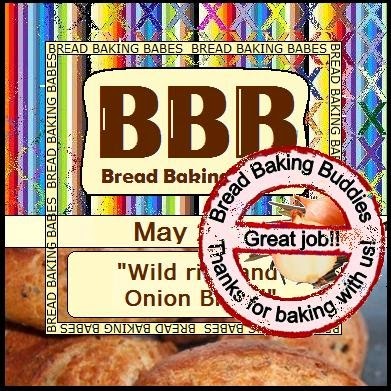 Simply wonderful and I really would like to thank you all for participating this month and being a true Bread Baking Buddy!! What an excellent round up for an excellent bread choice, Karen! This was a lot of fun and great bread to add to the repertoire. Looking forward to the next one! Thank you so much Karen for the delicious recipe and wonderful round up. Karen that make for a most wonderful round up. All these reminders of how very good this bread was make me want to bake it again.